Get the homeowners insurance you need to rebuild your home. Homeowners insurance keeps your home safe from harm. If there’s any damage, your insurance takes effect to help you out. It covers liability, personal property, and the structure of your home. However, sometimes, your homeowners insurance insures your home for more than it’s worth. This difference in price occurs when the market value of your home and the rebuilding costs of your home don’t quite match up. Check out what you need to know about how your home insurance costs are determined. When it comes to your property values, your home can be evaluated in several ways. One of the more common ways to assess your home’s value is by the market value. The market value is what realtors use to help sell your home. It’s a number devised by evaluating the tax assessment records, along with appraisals and neighborhood trends. However, this figure doesn’t include the cost of your home’s building materials. 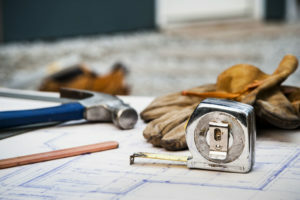 The rebuilding costs use the home’s square footage, special features, raw materials, code updates, and local construction costs to determine how much it would cost to rebuild your home from the ground up. These costs aren’t always consistent. In fact, sometimes your rebuilding costs are more than the market value. Your insurance premium must focus on the rebuilding costs of your home. In the event of a disaster, you need enough funds to repair and rebuild your home. When taking out a policy, ensure that it gives you enough coverage to rebuild your home. Know that your homeowners insurance provides you with enough coverage to rebuild your home. Get the right homeowners insurance for your house. Contact the professionals at Robert J. Los Insurance Agency to find you the right insurance. Located in Hamburg, New York, we serve all your personal and commercial insurance needs.